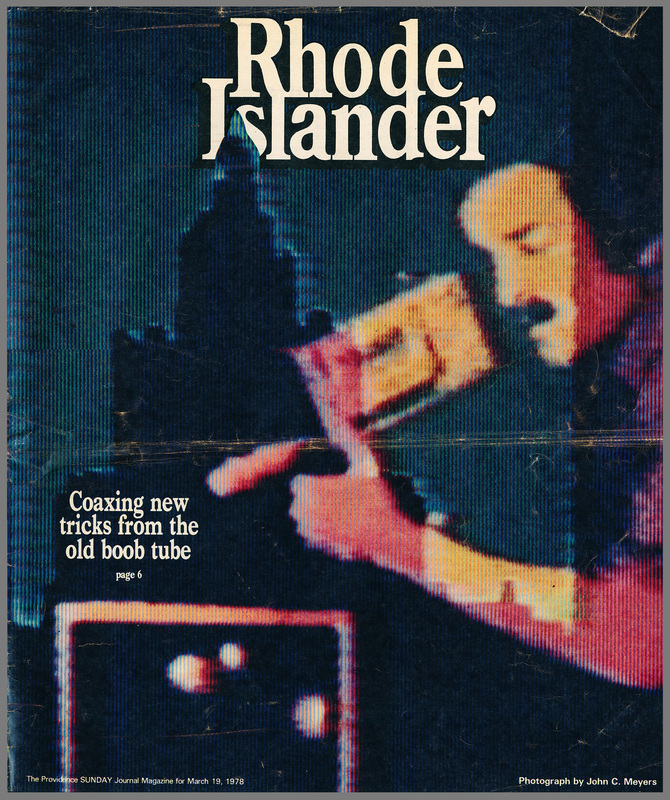 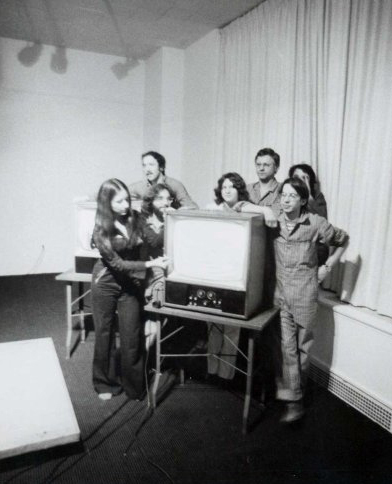 The Electron Movers, Research in the Electronic Arts, Inc. was a video artist collective established in 1974 in Providence, Rhode Island, and active through 1979. 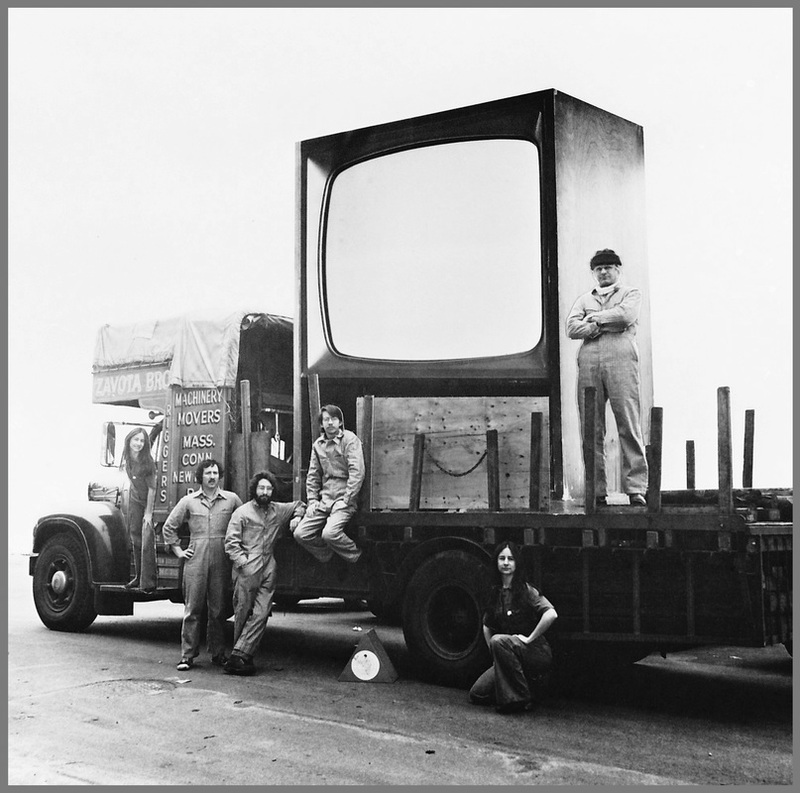 The original group of five artists came together because of common aesthetic interests, the need to collaborate on works and performances, and the desire to explore the electronic arts as an art form and communication medium. 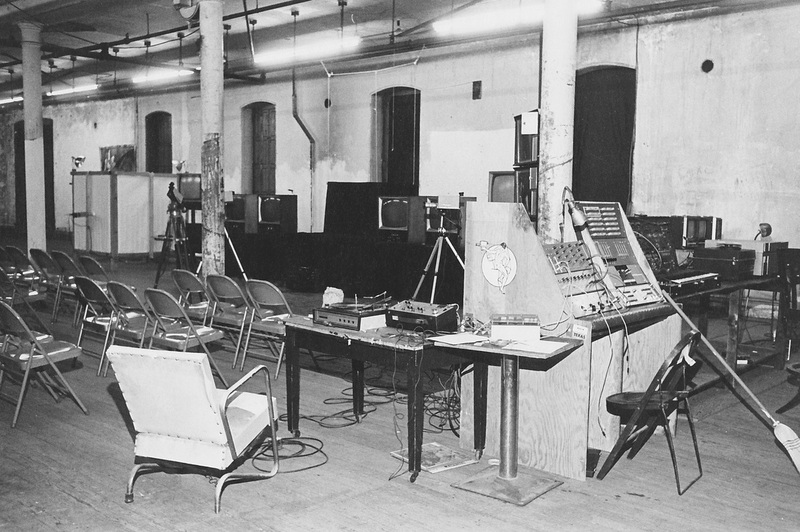 The group was comprised of five individuals: Laurie McDonald, Robert and Dorothy Jungels, Alan Powell, and Dennis Hlynsky. 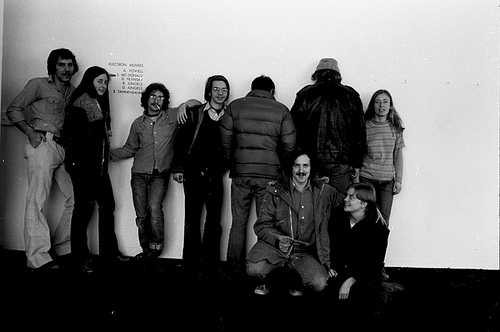 Larry Heyl, Philip Palombo, and Ed Tannenbaum later joined the group. The Electron Movers explored the intersections of many disciplines, including film/video, music, dance, visual arts, electrical and optical engineering, challenging established moving image narrative formats in their attempt to explore video as a new language system. was engineered to process video signals in ways that had no precedent. 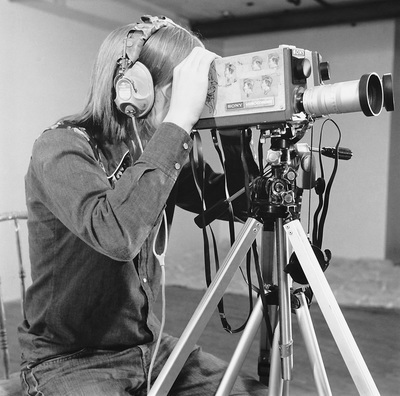 Sometimes the video camera was eliminated altogether. 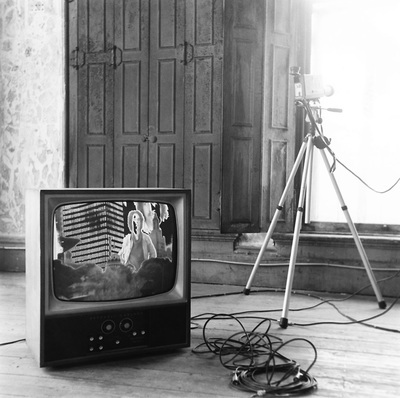 For example, the video "quantizer", designed by Larry Templeton, segmented a black and white video signal according to luminance, and synthetic colors could be substituted for specific luminances. 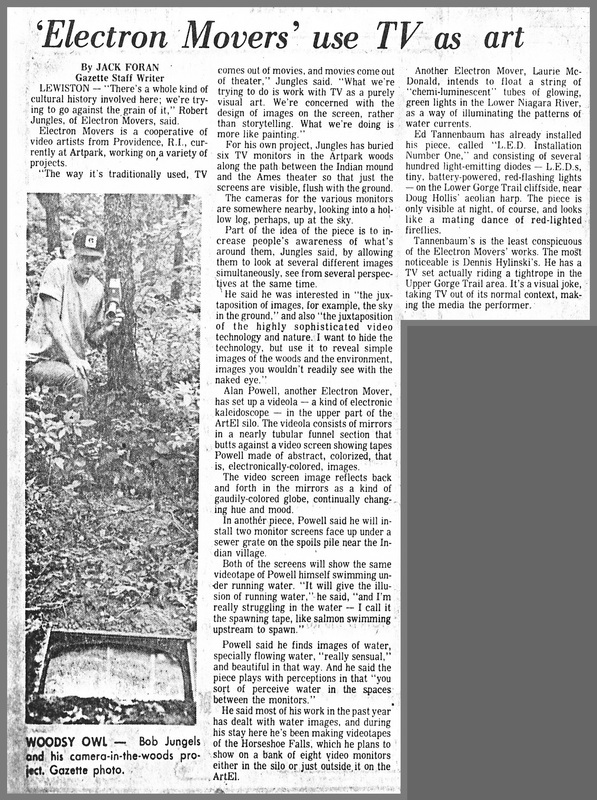 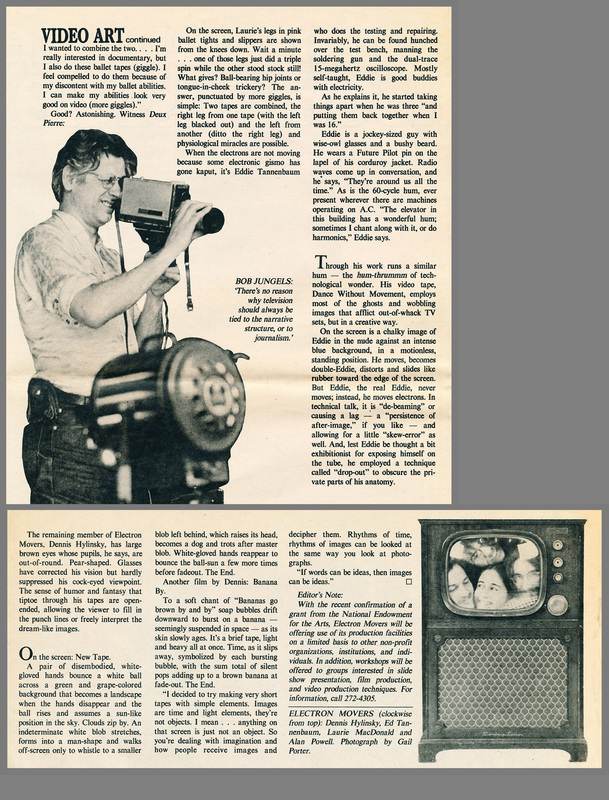 Various PBS stations began opening their doors to video experimenters, and Laurie, Alan, and Dennis were invited to WNET's experimental lab (New York) in 1973. In 1974, Laurie, Alan, and Dennis spent six weeks at the National Center for Experiments in Television at KQED, San Francisco, one of the premier experimental video and electronic music facilities of the time. 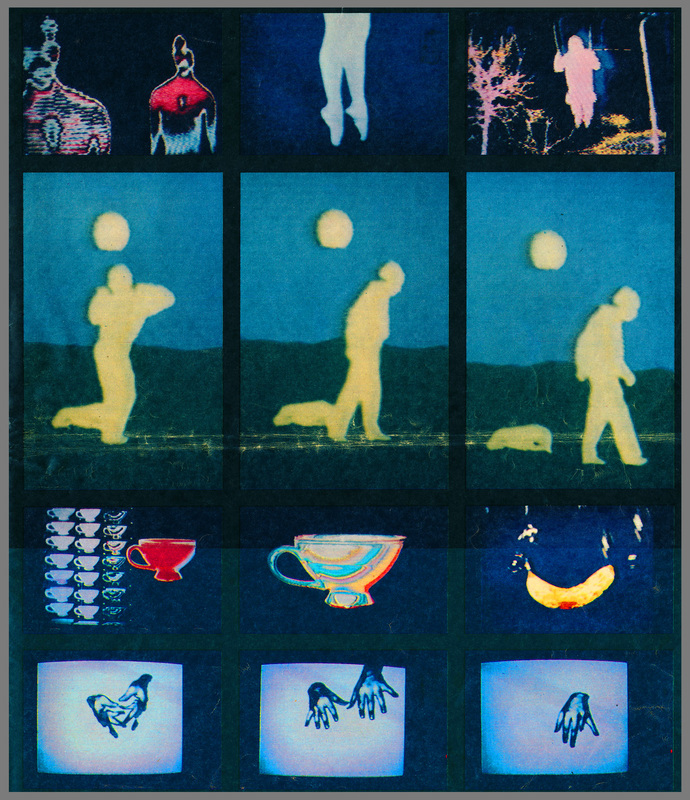 Electron Movers was an outgrowth of these experiences. 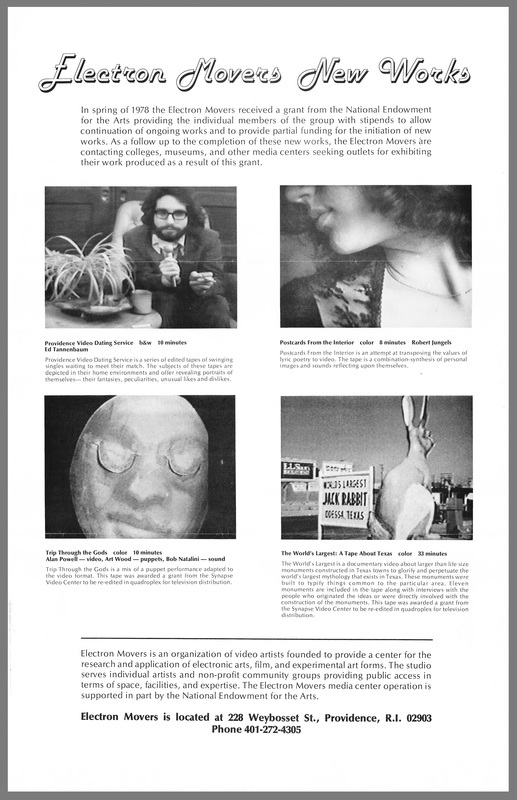 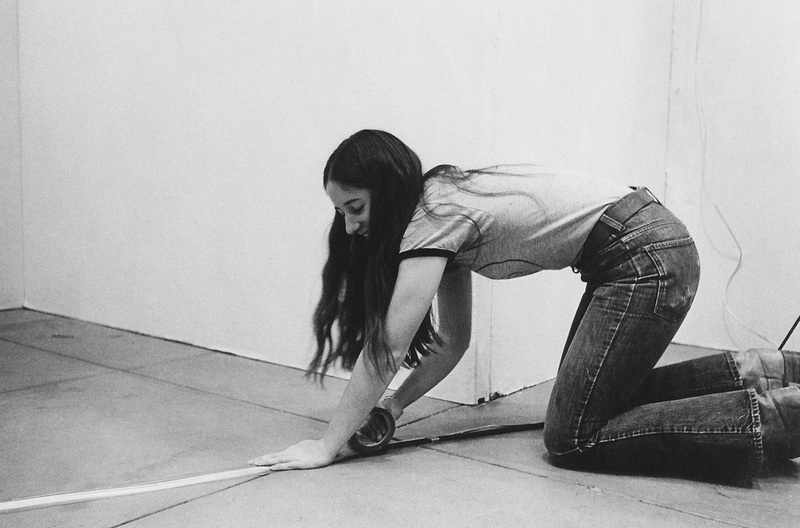 During the five years of their collaboration, Electron Movers exhibited their works at The Kitchen in New York City; The Avant Garde Festivals of New York; the Everson Museum of Art in Syracuse, New York; Artpark in Lewiston, New York; at universities throughout New York and New England; and internationally.